In this Sunday, Dec. 18, 2011 photo, Maine State Police Det. Christopher Tupper (left) and Waterville Det. Lincoln Ryder (right) question Justin DiPietro (second from left) after he arrived at his home in Waterville. 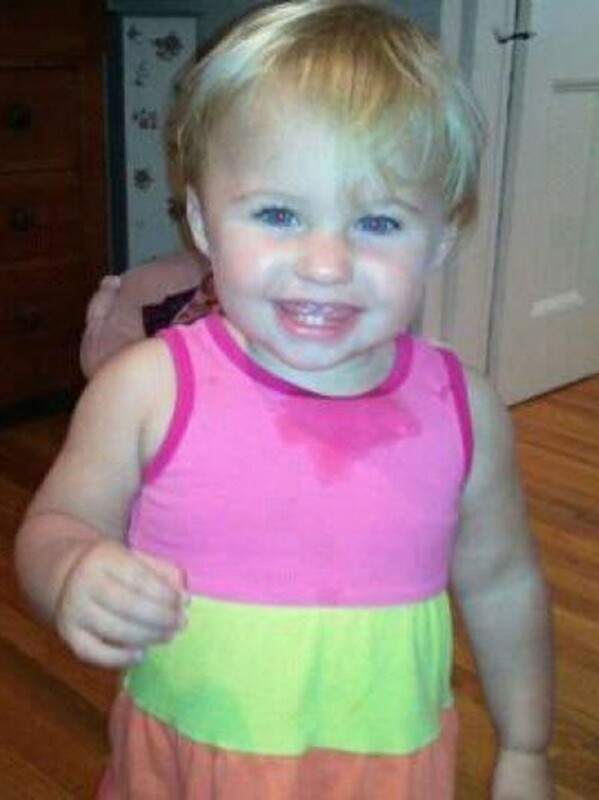 Police were searching his home and the surrounding neighborhood for his missing 20- month-old daughter Ayla Reynolds. 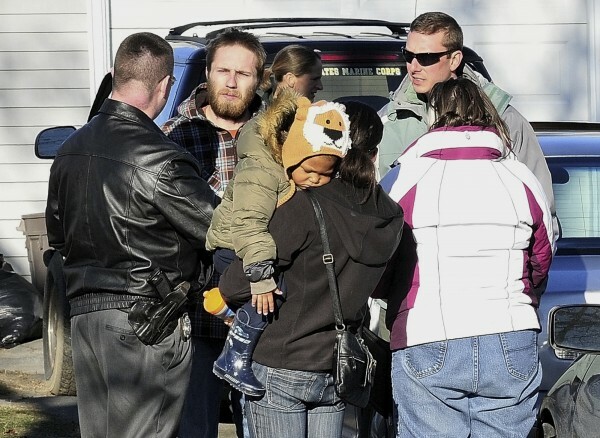 WATERVILLE, Maine — The father of a Maine toddler missing for more than two weeks spoke publicly for the first time Monday, saying he wanted to tell whoever has her that “you have no right” to have taken her. DiPietro reported her missing from his home in Waterville on Dec. 17. He told police that he last saw her when he put her to bed the night before, and she was gone in the morning. Police have declared her disappearance a crime. DiPietro had previously released two statements through the Waterville Police Department, but the family of Ayla’s mother criticized DiPietro for not pleading publicly for his daughter’s safe return. On Monday, he urged whoever took Ayla to return her to the family. “What you’re doing isn’t right. You may think what you’re doing is right for Ayla, but it’s not. You have no right. You’re not her parent. She belongs home with her family,” DiPietro said. DiPietro couldn’t be reached for further comment Monday by The Associated Press; his voicemail was full. State police were continuing to investigate Monday and had no public comment on DePietro’s remarks. “We remain hopeful for Ayla’s safe recovery,” said Stephen McCausland, spokesman for the Maine Department of Public Safety. Over the weekend, state police removed crime scene tape from DiPietro’s home, where Ayla was last seen, and turned the home back over to DiPietro and his mother. Someone posted a “no trespassing” sign outside the house. Ayla had been in DiPietro’s care while the toddler’s mother, Trista Reynolds of Portland, was in a substance abuse rehabilitation program, which she completed. Trista Reynolds was with her other child, who was not feeling well, and did not want to talk to the media on Monday, her sister said. The entire family has been torn apart by Ayla’s disappearance, said Jessica Reynolds. Reynolds said she understands that as more time passes, the likelihood lessens that Ayla will be found unharmed. But she refuses to give up hope.